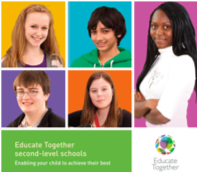 Galway Educate Together Secondary School is a new equality-based Voluntary Secondary School opening in August 2019. Applications are now invited from teachers who understand the Educate Together ethos and who would like to be involved in developing a model of inclusive, diverse and equality-based education in Galway. Ideal candidates will be fully committed to creative and collaborative teaching, learning and assessment which is enhanced by technology and to developing a strong co-curricular and extra-curricular culture. A qualification and/or experience in Special Educational Needs (SEN) and ability to teach SPHE/CSPE is desirable. Teaching of other subjects and/or short courses may be required. Further information and instructions are on the form.